With the holiday park market as robust as it is, the biggest mistake operators can make is to cut corners. “Customers are increasingly aspirational and are looking for a ‘better than home’ experience” says Jon Moxon, Hoseasons’ Business Development Manager. “People are happy to pay for their UK short break or summer holiday but want to know they’re getting value for money. “So, to ensure the longevity of your cabin or lodge – and to sustain the price – I’d advise any owner to buy on quality, not price and furnish the unit to the highest standard they can.” This sentiment is echoed across the industry. The popularity of the UK ‘staycation’ has been on an upward trend for many years and shows no sign of slowing down. Less travelling time, no language issues, no currency exchange – and safety – are all factors encouraging increasing numbers of Brits to holiday at home. “All these factors have increased demand, with a trend emerging for shorter but more frequent breaks. With all this, guests are also expecting a lot more from their accommodation,” adds Pathfinder Homes’ Kelly Martyr. In 2018, the winners will be those owners who meet the value for money proposition. Jon Moxon again: “Typically, I would expect these units to be open plan, light and airy with a great sense of space – and packed with features. 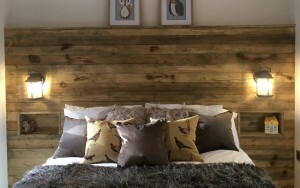 The accommodation should be fitted out with branded equipment, large TV in the lounge and TVs in the bedrooms, and ideally a hot tub on the deck! Other features customers are looking for are wine coolers, wood burners and of course free wi-fi. 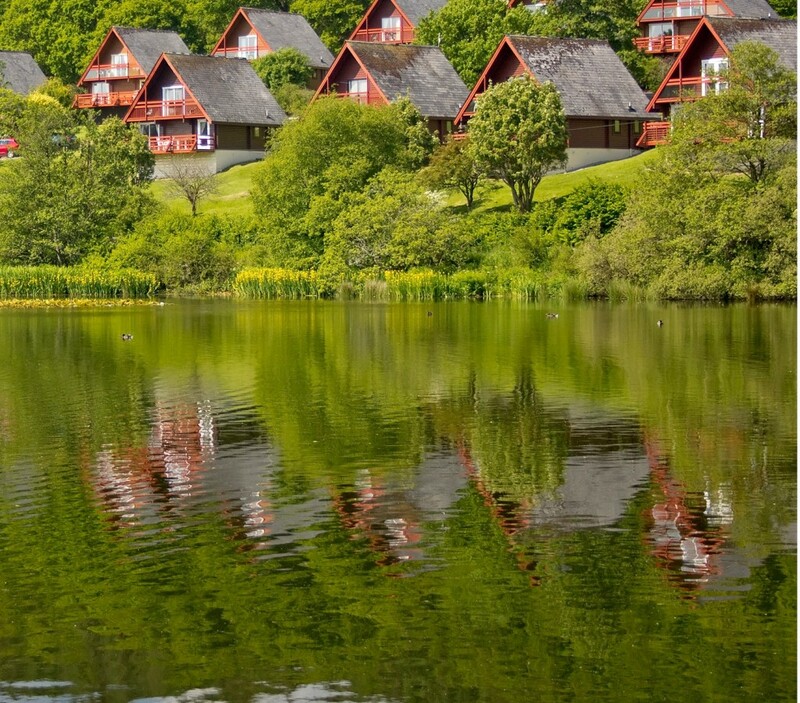 The striking exterior of North Lakes Lodges in Cumbria, part of Hoseasons' Evermore range. “We know space is at a premium on a park, but privacy is a rare commodity and the more space that can be provided between neighbours the better. There are several parks that are comfortably achieving this across the country, from the smaller quirky boutique sites such as Mallory Meadows in Leicestershire and Blossom Plantation in Northumberland, to sites offering activities such as shooting and fishing. Westlands Country Park in Scotland is a great example of a new site mixing traditional outdoor pursuits and contemporary comfort. Overall, it’s a combination of factors that make any unit and park stand out from the crowd. It’s about having a sense of identity and providing a quality lodge experience that is as good, if not better, than home,” added Jon. Another trend Pathfinder Homes is seeing is a strong rise in ‘romantic style’ designs. “We have recently created a bespoke Tuscany design specifically for the romantic rental market,” says Kelly. “This cabin measures at 40 x 22 and is a luxurious onebedroom home with an open plan layout featuring a freestanding bath sharing the same room as the huge super king size bed.” Operators should always be thinking about new ways to market their parks. If your park is situated in the right kind settings, you should certainly consider adapting a proportion of your site to meet this growing romantic break market. Pathfinder's new 'Retreat' has a carefully planned layout and stunning internal design, utilising a combination of unfurnished style wood and red brick. The growing demand for better value for money, with guests expecting more from their accommodation, are just some of the factors that should encourage operators to consider switching from caravans to lodges. According to Robert Sheridan, Managing Director of Finlog, their log cabins are always more popular than other types of accommodation: “They get more repeat bookings, always book out first and demand higher rents. “From an ecological point of view, you also can’t beat a log cabin. They last for generations, so you won’t need to waste money, time, energy and down-time replacing them every five years or so. 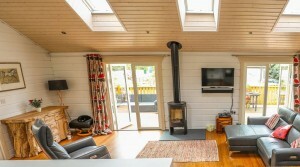 As they never go out of fashion, revenues stay strong; they are also far more-energy efficient than a standard holiday mobile home.” Robert also stressed that log cabins don’t really have a ‘season’ and are not influenced by current trends, so their ‘shelf life’ is far longer than a factory-made cabin or lodge. When it comes to payback for your investment, it’s not always a straightforward calculation and there are many factors to take into consideration. The purchase price of lodges varies tremendously depending on model and finish, and the addition of key features for the rental market such as hot tubs. “For the rental market we would typically target a four-year ROI, possibly less given the continued buoyancy in the market,” added Jon Moxon. Finlog’s log cabins are available in a choice of contemporary or traditional interiors. “With the rental market being as robust as it has been, the main pitfall is not to cut corners,” explains Jon. “As already mentioned, customers are increasingly aspirational and looking for a ‘better than home’ experience. So, for the longevity of the product and sustaining the price, I’d certainly advise any owner to buy on quality, not price, and furnish the unit to the highest standard they can. “It’s also important that the accommodation has a sense of place and fits its location. 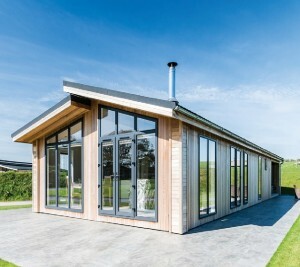 A white-washed, beach-style lodge in the Yorkshire Dales, flor example would feel out of place! Similarly, if your park has great views, take advantage of them – have a gable window or a central living layout so the bedrooms have an equally good view as the lounge. “Remember the accommodation is a rental unit, so fit it to the highest standard possible and use branded products, but also make sure it can take the hard work of two changeovers a week for 32+ weeks a year.” The message coming from the industry is loud and clear: Don’t cut corners, give visitors value for money and provide the best quality you can afford. The payback will be handsome.